#1 Get More Vitamin Drinks provides a refreshing way to top up your vitamins, made with spring water, natural flavours and no added sugar. I tried the parking Lemon & Lime and thought it tasted a bit like Fanta the only thing i don’t like is that there is sweetener in the ingredients list which i am not a huge fan of! #2 Mahou Cinco Estrellas, the quintessential taste for beer lovers, has always been a byword for quality and authenticity. A beer created to satisfy the most discerning palates, made using the highest quality varieties of hops and yeast which shapes its characteristic body and flavour. Now this one i let Mr. C. test after all he is the beer lover in the family and he liked the taste of it! 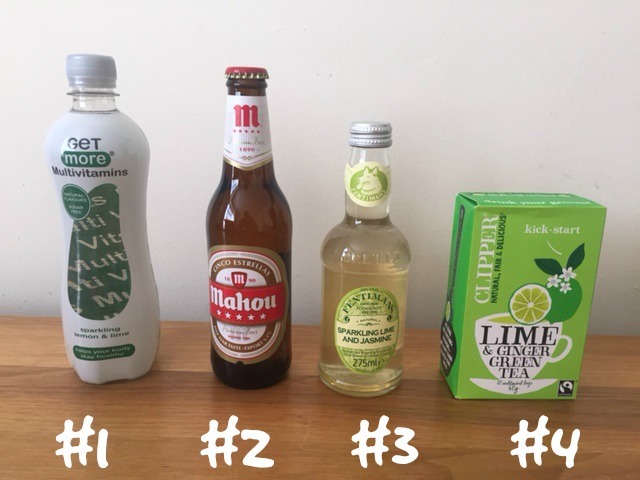 #3 Sparkling Lime and Jasmine is a sophisticated, complex and refreshing drink that is aimed at a growing group of consumers seeking a credible alternative to alcohol. In line with the Fentimans range of premium adult soft drinks. Sparkling Lime and Jasmine is made using the time-honoured botanical brewing technique to deliver real body, a unique depth of flavour and a liquid that delivers the cues of a sparkling wine. A light but finely balanced liquid with a distinctive botanical aroma. The initial refreshing bitterness on the tongue is quickly balanced by the botanical sweetness of Hyssop, Lime Flower and Juniper Berries to leave a clean, dry citrus note. The aroma is created by a complex mix of botanical infusions including white jasmine flowers. appealing to me and it also taste to bitter! #4 Clipper green tea is characteristically light and clear. Kick-start your tastebuds with this energising blend of green tea naturally flavoured with lime and ginger. Its all natural: Baby leaves. Natural ingredients. Plus the only decaffeination process recognised by the Soil Association. I am not a huge fan of green tea and cant stand ginger since my 2 pregnancies so i had to give this one a miss to try out! #5 Willy Chase’s Fit popcorn begins and ends its journey at the Chase farm in rural Herefordshire. Our very own corn is air-popped by hand, for a deliciously light and crunchy popcorn. No fryers here! We cook our delicious flavours in our popcorn kitchen, using locally sourced ingredients. Each pack is popping with flavour, but without the guilt. As much as i love Popcorn and trying out new flavours this one is just not right the Apple Cider combined with Popcorn did not taste nice at all! #6 Oloves; bring you the tastiest olives, freshly packed and in a range of delicious flavours. Bursting with natural goodness, low in calories. No stones. No fuss. Just the best snack going. For Olives Lovers this snack is pretty nice. The olives are soft and have a great flavour to it! Perfect for a summer picnic in the park! #7 Rakusen’s has been producing delicious, healthy crackers since 1900. In fact, we were the first manufacturer in the UK ever to do so. Our entire range of crackers & snackers is flame-baked to a traditional recipe, giving each bite a unique but subtle nutty flavour. Also available in Gluten Free! We tried both the normal and the gluten free version and although the glue free version did not appeal to Mr. C. and myself he loved the taste of the normal crackers. #8 Introducing NutriPot; the healthy choice for lunch or a snack when you’re looking for a convenient, nutritious, quality product. Each pot contains 50% of your daily vitamin and mineral needs; helping you to get through the day with a little more ease. I had the Aromatic Thai Noodles & the Moroccan Couscous Pods to try out. The Thai Noodles ones was too spicy for me and the the taste of the Couscous Pod wasn’t to my liking either. #9 TABASCO® Sweet & Sticky Barbecue Sauce & Marinade is a mild, Barbecue sauce enhanced by the rich and smoky flavours of TABASCO® Chipotle Sauce. Perfect for drizzling over pulled pork, marinating ribs and pouring on your burger. I love all the different BBQ Marinades in the recent Degustaboxes and this one is no exception such a different Sauce to the normal bbq sauces to try out at our next BBQ Mr. C. loves a bit of spice so i know this will be liked by him! #10 A medium Tikka curry paste with tomatoes, onions, and Geeta’s own special blend of exotic spices, creates a delicious aromatic curry. And a medium Rogan Josh curry paste with tamarind, fennel, and Geeta’s own special blend of exotic spices, creates a delicious aromatic curry. when we have our next homemade curry! for a cooler, creamier muesli. 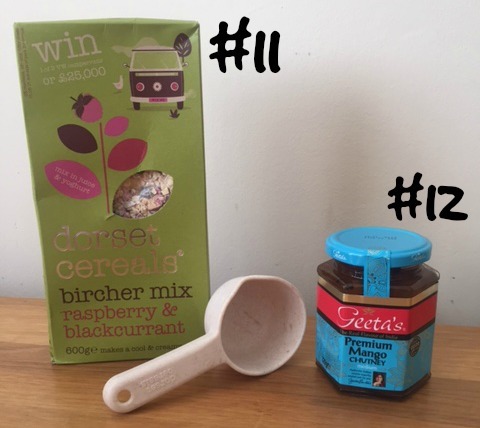 I love a good cereal and Dorset cereals are really nice, i am yet to try out the ever so popular soaked muesli but for now i love it with a dash of milk and some fresh fruit for my breakfast. The accompanied cereal spoon is a great little extra and very handy! #12 Premium Mango Chutney made with the finest mangoes, whole spices, and Geeta’s secret blend of spices. Great with Sandwiches jacket potatoes, nachos, meals, and even whipped into some homemade Ice Cream. A versatile Sweet and spicy chutney, that will leave you wanting more. Mango Chutney is a must have to accompany my slow cooker curry and some crunchy popadoms so i really liked the tasted of this one its very sweet with a little kick to it! 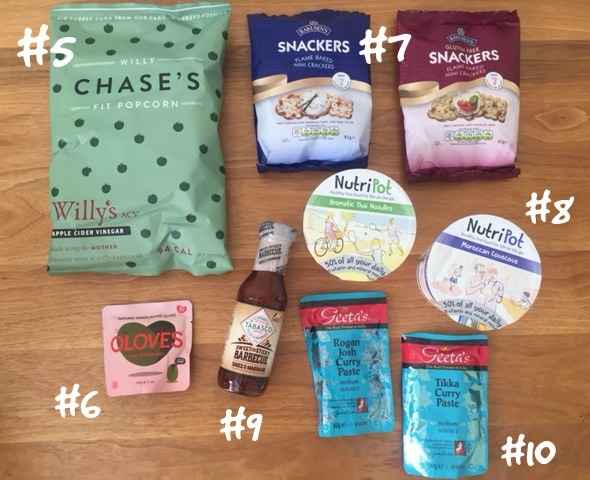 Overall we liked 7 items out of 12 the in the Box I have to say i was pretty disappointed with this month box i expected a summer collection of new food items to try after all its still the summer and BBQ season and there was a lack of sweet stuff too which i think should always balance the drinks and savoury collection! their Facebook and Twitter Pages. You can get your very own Box with a whopping 6£ off!! 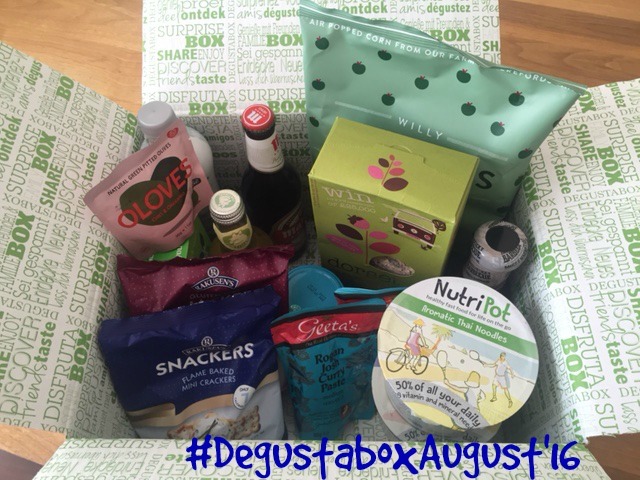 Disclaimer: I have been sent the August Degustabox for reviewing purposes, but all thoughts and opinions are mine. We took on the Wicked Uncle Challenge!